For our latest new place see our Facebook and Instagram pages. New 2019 Progression Session Calendar! 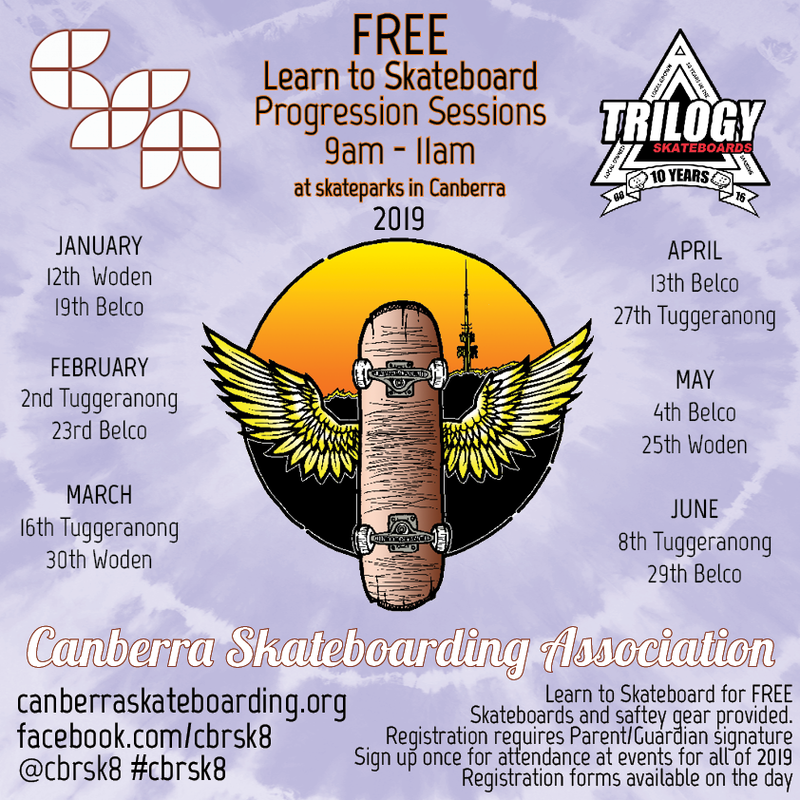 FREE Learn to Skateboard “Progression Sessions” at Skateparks in Canberra! Saturday mornings 9am – 11am. All ages and experience levels welcome. Skateboards and equipment provided.